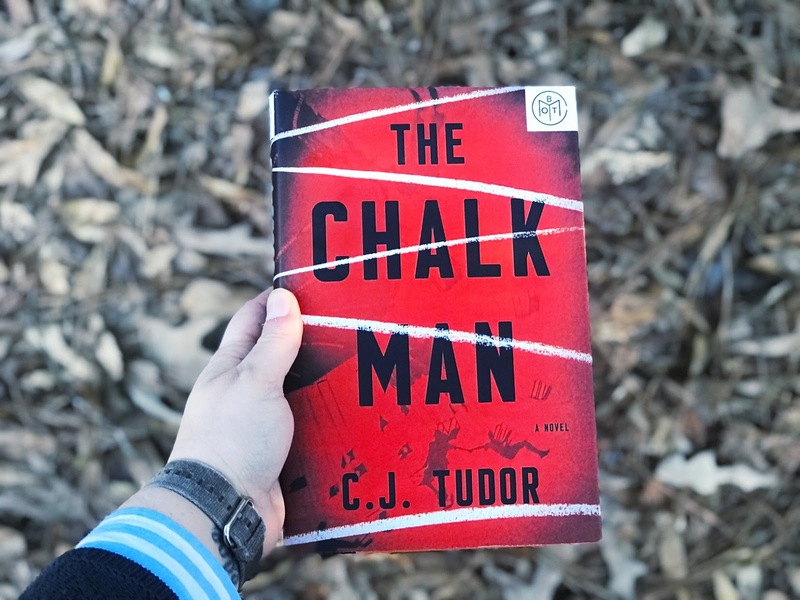 I've heard some rave reviews about The Chalk Man, and honestly, I selected it from Book of the Month over a year ago and just now got around to reading it (thanks #unreadbotmchallenge). It didn't quite live up to expectations for me. The story is about Eddie, a man who witnessed some pretty terrible things as an adolescent. Growing up, he and his friends would leave messages to each other in chalk, until one day - the chalk leads them to a terrible discovery. The novel switches back and forth between Eddie's childhood in the 80s and his adulthood in 2016, the story weaving together through the timeline and each chapter. The book opens with a chapter about a dismembered girl, which is fairly sickening just within those first few pages. After that, I wasn't quite sure what was happening or what the story was about. Granted, the inside jacket flap gives more of an overview of what's happening, but I feel like that ruins some of the story. The mystery was the allure of getting through the next pages. The group of friends in the pages reminded me very much of It's Losers Club, and the setting also reminded me a lot of Derry, Maine, though this story is set in the UK. I found a lot of parallels and similarities between The Chalk Man and Stephen King's It, which had to have been a heavy influence on this story (if it wasn't, I am bewildered). A group of misfit kids, a band of bullies, bad things mysteriously happening, a 30-year gap in the storyline. There are other similarities between the books (not just the film version of It) that would ruin some of the story if I shared, so I'll leave that out. I'm not easily disturbed (I mean, I get afraid - but not truly disturbed) by books and stories, but there were parts of this book that truly disturbed me that I wish I would've skipped over. Sickening scenes, really. But what really threw me is so much of the book seemed totally unbelievable to me, and there were too many things left unraveled. That isn't to say I wouldn't read Tudor's work again (and I'm fairly certain she has a new book releasing this year). In fact, I would definitely read another novel by her. I enjoyed the writing style, and the way the book was organized. It was definitely a thrill-ride. This book just wasn't for me.